Raise your hand if you love snacks. Is your hand up? Good! To be honest, I snack All. Day. LONG. That being said, I especially look forward relaxing with my hubby and watching tv in the evenings. It is the perfect time to snack. What is better than putting your feet up, watching your favorite show, and eating a big bowl of popcorn? 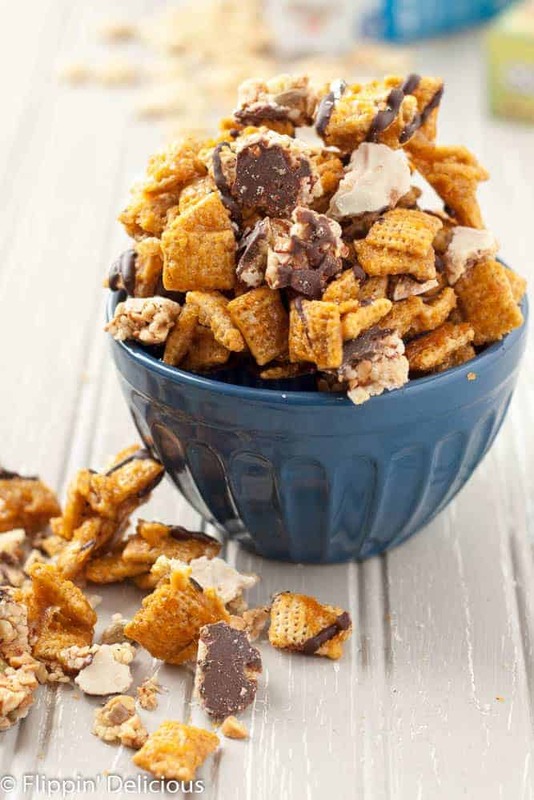 Putting your feet up, watching your favorite show, and eating a bowl of this Salted Caramel Chocolate Chex Mix. In my opinion, late night snacks should be sweet, indulgent, and definitely have some chocolate. 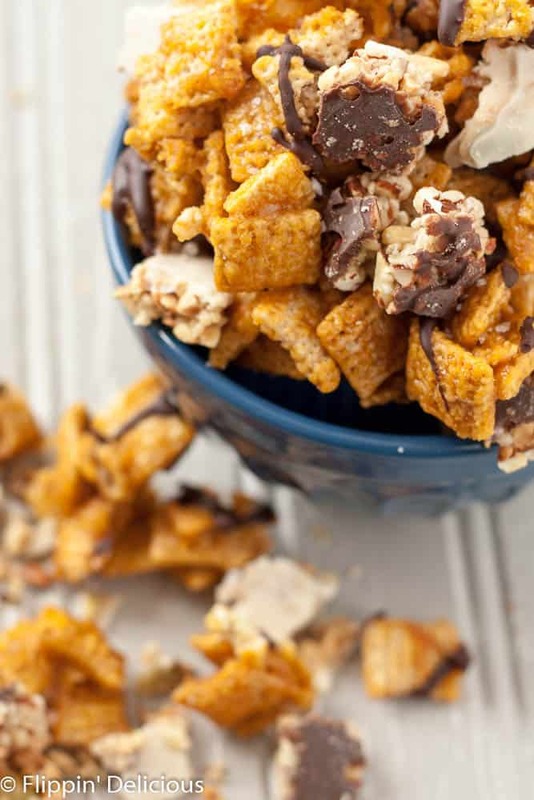 This Salted Caramel Chocolate Chex Mix satisfies all of those requirements. It is also pretty easy to make. 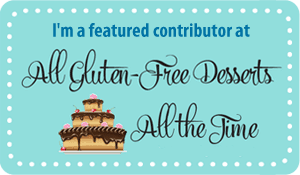 Anyone in the gluten-free community is probably pretty familiar with Rice Chex™. One of the few breakfast cereals that is safe for those with celiac to eat (and one of my personal favorites.) It is a pantry staple across the nation. What you might now have tried yet are these Nature Valley™ Nut Crisp Bars. 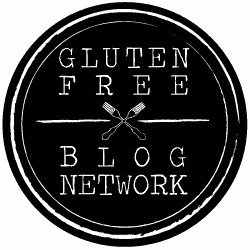 I love that Nature Valley supports the Celiac Disease Foundation and created a granola bar that is not only safe to enjoy, but pretty darn tasty! I hadn’t tried the Nature Valley Nut Crisp Bars until someone brought a few boxes to my local gluten-intolerance support group last month. I was given an extra box of bars to bring home to share with my kids and OMG I was floored with how good they are. The Nut Crisp Bars come in a dark chocolate almond and a salted caramel peanut and BOTH flavors are the perfect addition to the Salted Caramel Chocolate Chex Mix. Just a few days after our gluten-intolerance support group I went to Albertson’s to get all my late-night snacking supplies and I just HAD to grab a few boxes of Nut Crisp Bars to add to my Salted Caramel Chocolate Chex Mix. 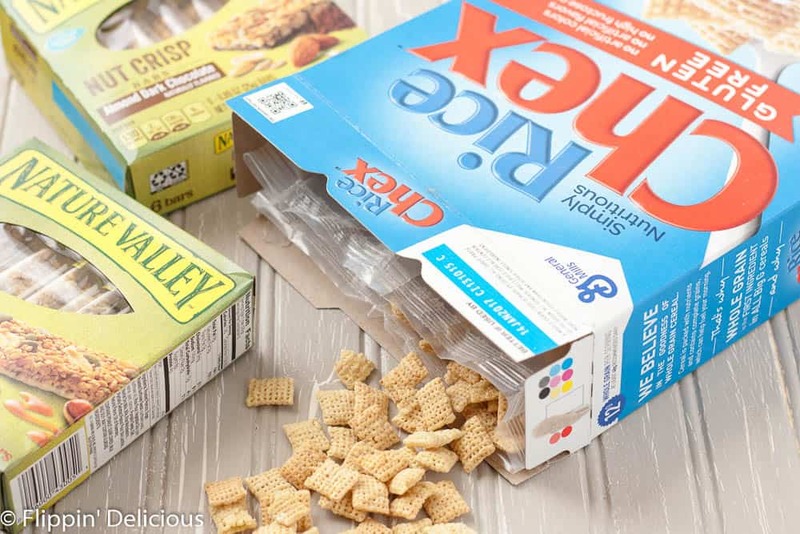 Not only are they a perfectly easy way to add some variety to this Salted Caramel Chocolate Chex Mix, they are also a great on-the-go snack or an I-forgot-to-eat-breakfast snack. Now, on to the Salted Caramel Chocolate Chex Mix recipe! Pour the caramel over some Rice Chex and stir to coat. Then bake for 10 minutes to achieve the perfect crunchy chew. Once it cools break it up. Then chop up some Nature Valley Nut Crisp Bars and toss it all together. Give it a healthy drizzle of melted chocolate. Because chocolate. My hubby can’t have dairy right now, so I didn’t add the Nut Crisp Bars to half of the Salted Caramel Chex Mix (and I used dairy-free chocolate for the drizzle) so that I could still share it with him. You can swap in some of Nature Valley’s Roasted Nut Crunch Bars or Simple Nut Bars to get the same crunchy nutty texture. I loved the extra crunch from the bars, he definitely missed out! Armed with some indulgent late night snacks, we are all set for our Friday at-home “Netflix & Chill” date night! And since it is technically cereal, you can get away with eating a handful with breakfast the next day, right? Measure the Rice Chex into a bowl and preheat your oven to 300F. Line a baking sheet with parchment paper. In a saucepan combine the brown sugar, honey, and butter. Cook over medium heat until the butter is melted and the mixture begins to bubble. Set a timer and let it bubble for 4 minutes, while stirring occasionally. Remove from heat immediately and stir in ½-3/4 teaspoon sea salt, the baking soda and vanilla extract. Pour the caramel over the Chex and stir to coat. Spread the cereal on the baking sheet and bake for 10 minutes. Let cool and then break into pieces. 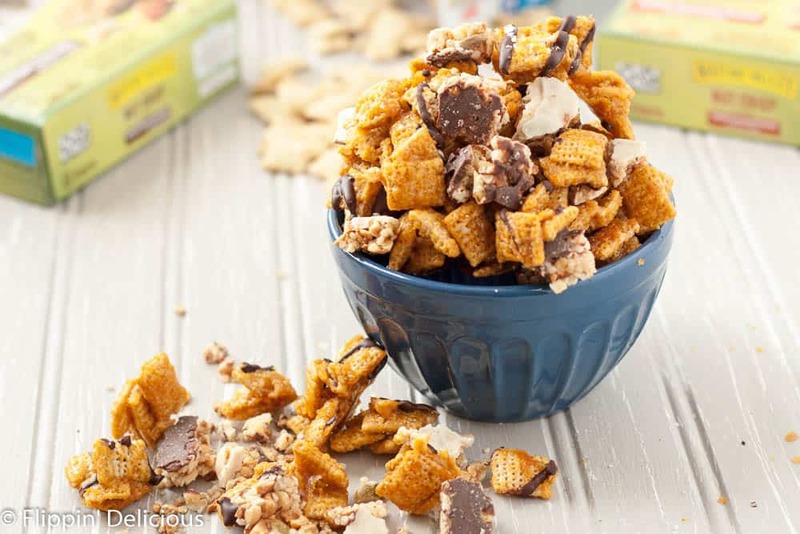 Chop the Nature Valley Nut Crisp Bars into bite-sized pieces and then toss with the Chex. Sprinkle with ¼ - ½ teaspoon coarse or flaky sea salt. Let the chocolate harden, and snack away! If you are eating dairy free you'll have to skip the Nature Valley Nut Crisp Bars ☹️ but you can swap in some of Nature Valley's Roasted Nut Crunch Bars or Simple Nut Bars to get the same crunchy nutty texture. Use a dairy free chocolate to drizzle your Salted Caramel Chocolate Chex Mix and a non-dairy butter in the caramel.